The festival of Navratri i.e. the period of fasting for nine days began four days back and for these nine days there is a total abstinence from non vegetarian food in our house. Although I don’t observe the Navratri fasts but from the very beginning I have observed my mother (and later my mother-in-law) abiding by the fasting norms. They both used to observe the fundamental directions of abstaining from not just non vegetarian food but they also used to go on a grain-free diet for those days. A handful of veggies are consumed by those fasting and meals are cooked without onions and garlic. While, we on the other hand simply switch to a vegetarian diet during these nine days and eat vegetarian food which includes lots of salads and fruits and simple stir fries. Nearly a week ago I had received two varieties of tea from a company called Karma Kettle to review their product. They had wanted one to be paired with some dish and other to be incorporated in a dish. 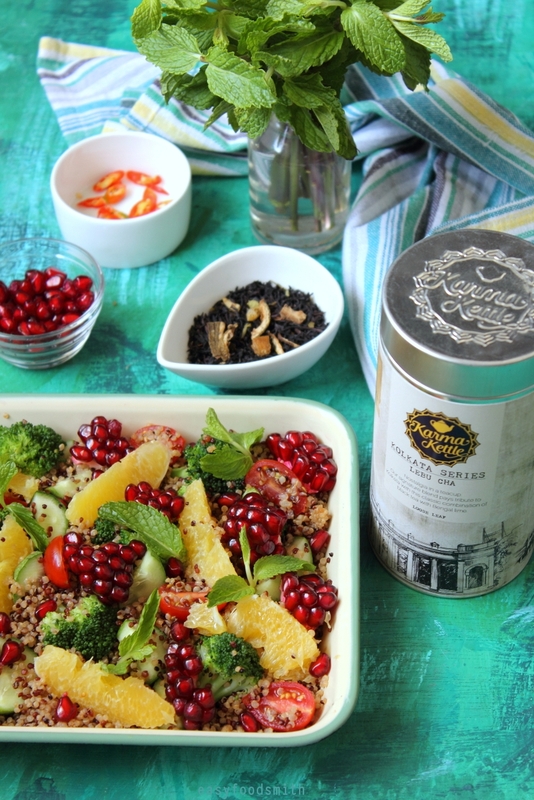 I had clubbed their Marrakech Tea with our favorite Green Chutney Paneer Sandwiches (it turned out to be a perfect pairing) for the food-pairing post and today I used their Lebu Cha (which means lemon tea in Bangla language) and incorporated it to make this lovely tea infused quinoa salad. Although I must confess my first thoughts were to bake cookies or a cake using the Lebu Cha since I had last year made these Gondhoraj Lebu Mini Loaf Cakes (Gondhoraj is a very fragrant variety of lemons grown in the eastern Indian region) and I was excited at the prospect of trying out a Lemon Bread using the lemon infused tea. My oven however died on me a few days back and I had to discard that idea and switch to something savory. I zeroed in on this salad which I thought could double as a fasting food (since quinoa is a pseudo grain like amaranth and buckwheat) and also incorporate the Lebu Cha (which is a loose leaf-tea) to create the desirable recipe for the tea company. The tea lent its beautiful mellow flavors to this salad and gave it a very nice complex taste which is very moreish. The tea comes in an attractive packaging and their beautifully blended teas, being artisanal, are priced higher than regular blended teas. Taste wise, in my opinion, both their blended teas have a very natural fragrance and well rounded taste which is a very refreshing. Their range of tea is huge and varied, with some very interesting and exciting flavors (do check out my previous post for details). 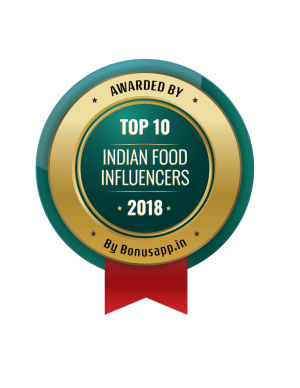 Their tea and merchandise (both make for a great gift option) is available on Amazon US and Indian and also on Big Basket. Mix all ingredients of the dressing and give them a good whisk with a fork or a small whisk so that everything is well incorporated. Taste the dressing and adjust the ratio of ingredients to suit your taste. Set aside. Rinse the quinoa (gently rub it while washing) in water two to three times and drain the water. Set aside. Place a sauce pan on high heat and immediately add one cup of water along with sugar. Bring water to boil and switch off the heat. Add the tea leaves and cover the pot. Allow the tea leaves to steep for two minutes (three minutes if like to intensify the flavors). Sieve the contents. Discard the tea leaves and reserve the tea liquid. Put the tea liquid back in the sauce pan and place it on high heat again and bring it to boil. Immediately, add the quinoa along with salt and allow it to come to a boil again. Reduce heat to minimum and cover the sauce pan. Cook the quinoa for 15 minutes (stir and check after 10 minutes for done-ness) or cook according to the instructions given on the pack. Switch off the heat & remove the pot from heat. Allow the quinoa to cool down. Fluff with fork and use it for the salad. Mix everything and toss well. Add seasoning and gently toss again. Divide the salad in equal portions of three or four and garnish with mint leaves. Serve immediately and enjoy! Note – Those fasting can use veggies of their choice to the salad. 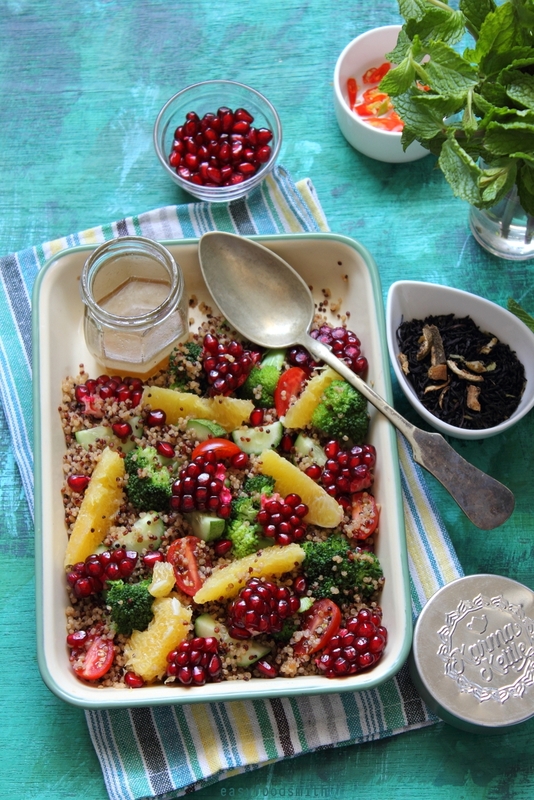 Or simply add seasonal fruits to the quinoa and enjoy it for a healthy meal. Note – You can swap sweet lime with orange however the sweet lime paired really well along with the other ingredients in this salad and I recommend going for sweet lime if it is available. 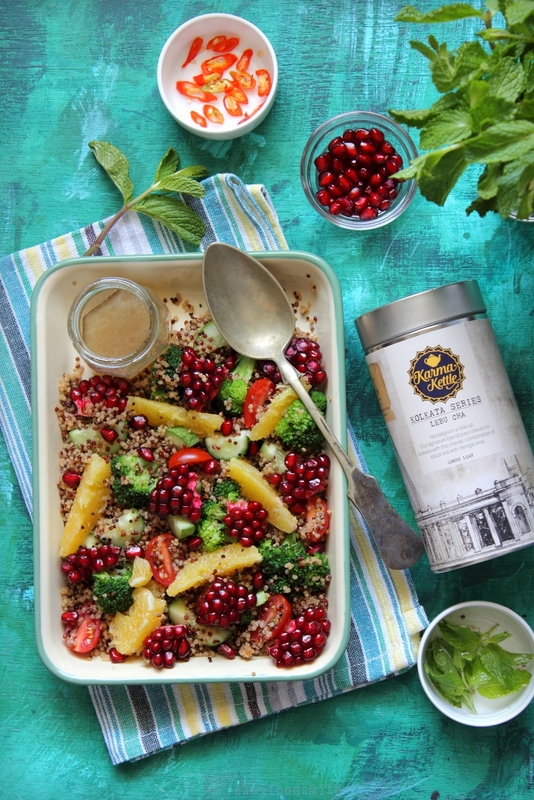 Such a great idea of using tea to prepare the quinoa! The salad looks wholesome. I love the idea of cooking quinoa in tea. What a great way to add flavor. And, the finished salad looks delicious! Very creative dish! Clever idea to combine tea and quinoa. Sounds like a delish dish, and it looks awesome, too. Winner! Thank you so much John. The flavors I chose gelled really well together. What a great idea! Can’t wait to try it myself. Beautiful, too! What a stunning and creative salad! What a gorgeous, multifaceted salad! So much yumminess in every bite!! 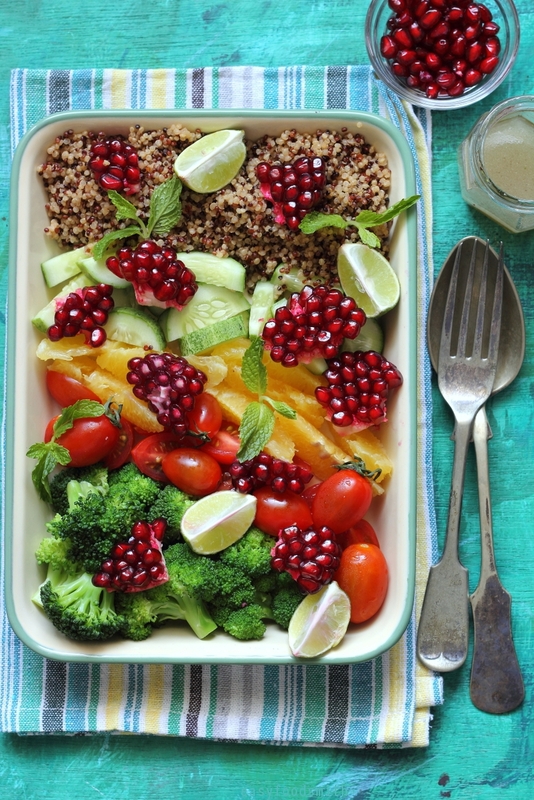 This is excellent, very interesting recipe, I love my quinoa and I am gonna try out this soon..thanks so much for sharing, Taruna. Oh yes, Taruna! 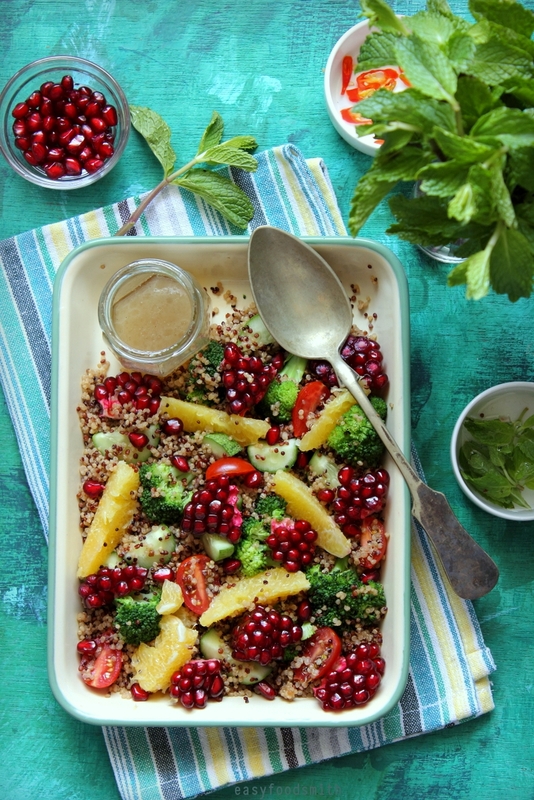 Would love this lemon infused quinoa salad any day. Looks so beautiful!